What do you want to experience down the road? An escape to the beach? A wild night in Vegas? Or maybe a Broadway show in NYC? Make it happen faster with discounted Hotels.com gift cards from GiftCard Mart. 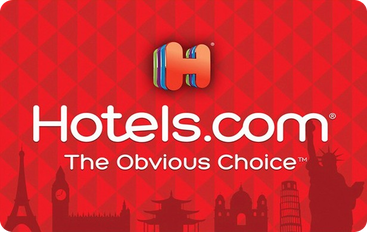 It doesn't matter where your vision may take you because Hotels.com offers exclusive deals for hotels all over the world. You can only use one gift card per hotel booking, so be sure to combine multiple card balances onto a single card using the Balance Transfer service here.